So if you want something for nothing, here are a few handy websites that can hook you up to some free stuff around Melbourne. This website not only gives away items for free, but also helps our environment by reducing land fill. There's not a single item you won't find here, from Pianos, furniture, dog kennels, paintings, even wedding dresses. So go online and see what pre-loved items are free on offer. Not only will you save on money, but you'll also be helping the environment. That's two good reasons to check this website out. If second hand, pre-loved goods aren't your cup of tea, try out this website for your chance to win brand new freebies. From ipads to 50" televisions, you'll find them all here. You can apply for each competition, and they'll even give you tips on increasing your chances to win the goodies. Gumtree has now become one of the most popular websites for purchasing second hand furniture, cars, even the kitchen sink. They also now have a "freebies" section, which lets you see what people are giving away for free. Check out the website, and see what old treasures you can find. Another great website that gives away stuff for free. It's crazy what you can find - from pre-loved high heels to engagement rings. This website is jam packed with free stuff, from samples to goods to competitions, I even found free pizza. 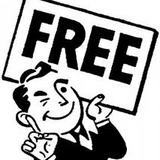 So start exploring all these fun filled websites to see what you can grab for free. It seems that the old quote "there ain't no such thing as a free lunch," isn't as accurate as one might think. Freecylers are a club you can join and Gumtree has a free section too. Other than that Im unsure. While it's not a freebies website as such, 100 Coffees gives away free coffees when enough people ask for them. They trade exposure through their website for free coffees from the business. New coffee places are updated all the time, and the city's broken up into sections so it's easy to find places close to home for a free coffee on the weekend. Only drawback is that there's only one free coffee per customer, so if you'd like to take a friend, they'll need to request a voucher too.